After hearing from our loyal customers that there were few quality, made-from-scratch catering options, we decided to expand our already popular regular menu selections into a full-fledged catering menu that offers many types of entrees, appetizers and platters. No event is too large; and we provide home-style menu selections where quality is always a top priority and competitive pricing is a must! We’ve got you covered! We work with a network of local reputable businesses that provide entertainment, photography, floral designs and baked goods! We can cater any event! 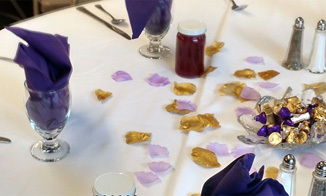 From weddings, anniversaries, graduations, birthdays or funerals, we strive to make your event stress-free! We also have many references. We make all of our food from scratch. At North Country Café and Catering, we pride ourselves on using fresh ingredients and course selections that are made from scratch. 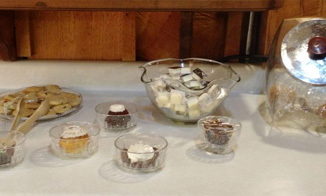 All of our Main Course choices include a tossed salad, 2 side dishes and dinner rolls. Again, we also include all dinnerware and provide after-party cleanup! To cater to your specific needs, all of our meal plans have the choice of different options. You can change your choice of potato (mashed or baked), for instance. Perhaps you may not even want a potato option at all. 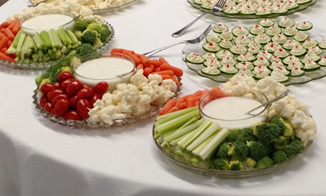 North Country Café and Catering allows you to choose selections that will be the perfect compliment to your event. We have an extensive selection of amazing side dishes that to partner wonderful main courses (hot vegetable, pasta, or cold salads, for instance). Again, our goal is to make your event as stress-free as possible. 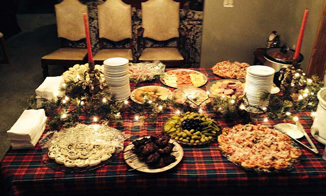 We also offer a variety of party and appetizer platters, linens, bartenders and almost anything you need! If you choose to use china or paper products, don’t worry, we will take care of all the details! You just let us know what you need. We also offer linens, bar or wine glasses, bartenders, and referrals for cakes or flowers! We would love to sit down, talk and do a tasting with you. Give us a call at (231) 757-3993 or contact us here.